By	Marios Alexandrou on December 8, 2014. Years ago, computer viruses were created by folks that were having fun. Their goal was to see just how far their virus could spread before it was detected and dealt with. More recently, viruses are being used to trick people into buying products (like anti-virus software or data restoration software) or to create a network of computers they can use in attacks on other computers. And even more insidious, in my opinion, or viruses that are designed to steal information from your computer like logins and passwords. While there are certainly many good commercial programs to choose from, it can get rather expensive once you get roped into the yearly license fees and product upgrades that software companies use to remain profitable. Fortunately, some companies and individuals have created antivirus freeware that, although are not as robust, certainly get the job done for the typical user that doesn't frequent high-risk sites. First up, you want to make sure you install a program that starts when Windows starts and that is running all of the time in background. Such a program will scan programs and files are they're opened so that viruses are detected before they can infect your computer. The two programs I recommend you check out are from Avast and AVG. I actually prefer the Avast product as it seems less intrusive on my day-to-day activities. The version I was using also had a few more bells and whistles when it came to doing full system scans that I thought were useful. However, with both programs being upgraded regularly, it could be that the leader one one point wasn't the leader the month before. 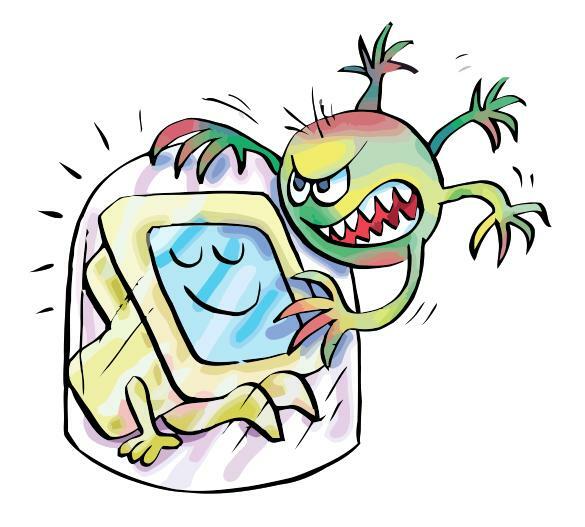 In addition to programs that you install, I recommend you bookmark at least one online antivirus scanner. An online service won't run on your computer all the time so there won't be any on-going performance hit. The benefit is that you get to tap into the efforts of another vendor which could do a better job at detecting some viruses. For this I recommend Trend Micro's HouseCall. When first released, this tool only worked with Internet Explorer, but support for Firefox has since been added. Still, I've had problems getting this program to work on one or two machines, but I kept trying and eventually it did run. And it did detect a few things that other products didn't. The biggest drawback is that it is web-based so if you leave your computer unattended for too long after the scan is complete, you run the risk of losing the connection with Trend Micro making it necessary to re-scan your computer. In my case, a scan takes 2+ hours so this is somewhat of an annoyance. Another shortcoming is that since HouseCall runs from within a browser, it can't do the sort of system reboot scan like a program that is actually installed e.g. Avast. Another reason to make sure you use both a local and an online scanner. If you're looking for a one-stop solution and you're willing to spend the money, I recommend Norton Internet Security which includes an anti-virus component. A suite like this will require fewer system resources than if you had individual programs to do different functions from different vendors. The single interface also makes administration easier and you can also be sure that the components of a suite are “smart” enough to not interfere with each other which is not something you can safely assume if you've got a bunch of separate programs. In closing, regardless of the program you choose, be sure to go through the program options and review the default settings. Make sure that, if available, incoming and outgoing e-mail is scanned. If there's an option to integrate with your browser, turn that on too since viruses can actually be installed through web pages that exploited web browser flaws. Is Your PC a Zombie?